Those are the last words we heard from our band director before we prepared to load the bus to make the 5-hour trip from Greensboro, North Carolina to Atlanta, Georgia. Tired, exhausted, overworked, and cold is how many students would describe the practices leading up to the big performance. 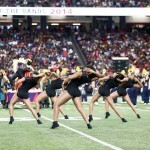 By now, many of you may be wondering if I am referring to a particular performance we had during the football season. The answer is no. 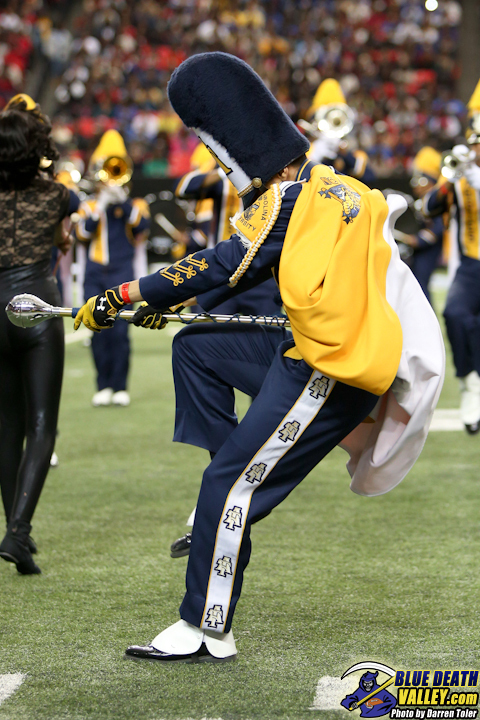 The arduous regular season schedule had already taken its usual toll on our band. 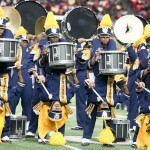 What I am referring to is a pristine competition known as the Honda Battle Of The Bands or (HBOB). 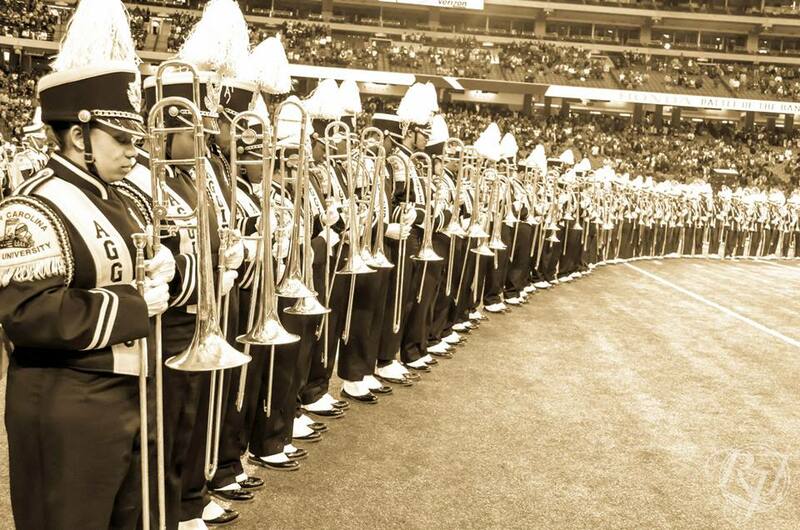 This is an annual marching band exhibition in January sponsored by HONDA Motor Company. 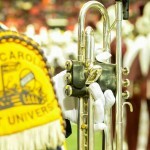 Each year, eight of the nation’s top bands from Historically Black Colleges and Universities, are selected to perform their best show in the Georgia Dome. 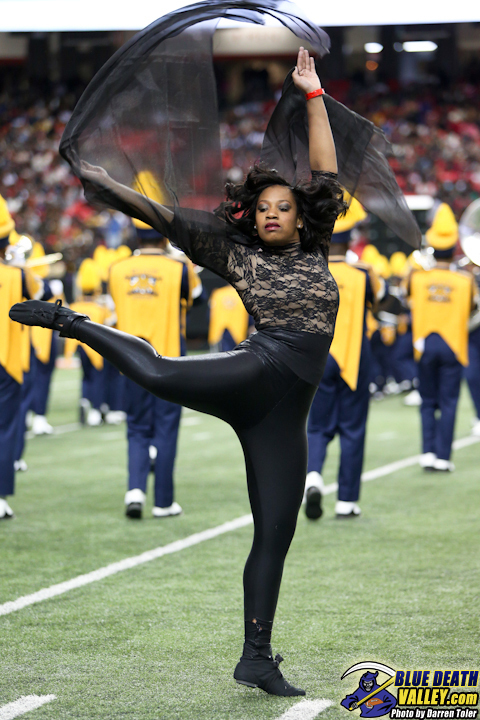 The dome is filled each year with thousands of fans from all across the nation as the judge. This year, the fans voted for their favorite band at the end of the entire event. 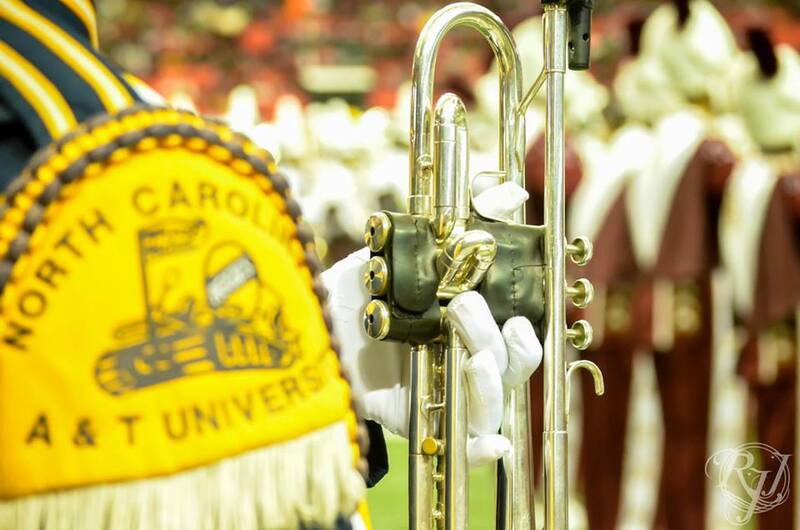 This year, our band, the North Carolina A&T State University Blue & Gold Marching Machine, was selected for a third time to participate in this event. Little did we know, this would be one performance we would never forget. This was the first year of an actual competition and I will spoil the story now. We won and became the first band to become the first official winners in the history of Honda Battle of the Bands, which was great! But, like so many success stories, the biggest story is not the win. What it took and required to get there is the real story. 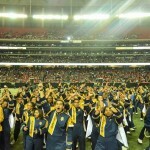 In a typical band season there are your average performances during the season, and then there are your huge performances that come around once a year. This was our huge performance, and we practiced like it. Coming back early from our winter break we faithfully practiced. 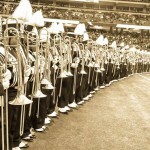 Music, field rehearsal, music, field rehearsal. We practiced outside many nights only to find our instruments paralyzed by the sub-freezing temperatures we were facing. Spit valves frozen, triggers and slides frozen stuck and mouth pieces that felt like ice cubes and that produced un-melodic sounds. But the other struggle other than Mother Nature was that this was a particularly challenging drill for us. 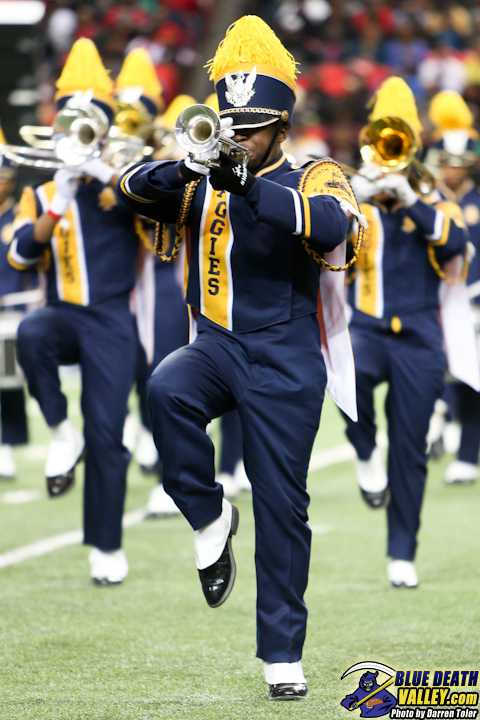 HBCU bands are traditionally known for show style or high step marching which entails high energy knee lifting. But for this performance our director and chief arranger encompassed many core style maneuvers and DCI effects and music into our show. As with learning anything new it took hours upon hours for us to master. We would do an entire 12 minute show eight count by eight count during practice. Many students were unsure and nervous, with doubts creeping in their mind. The show we were about to perform was something we had never attempted before and we were about to try it out on the biggest stage in front of the largest audience we would see all year. We were going to do a show that incorporated and DCI performance all in one show. 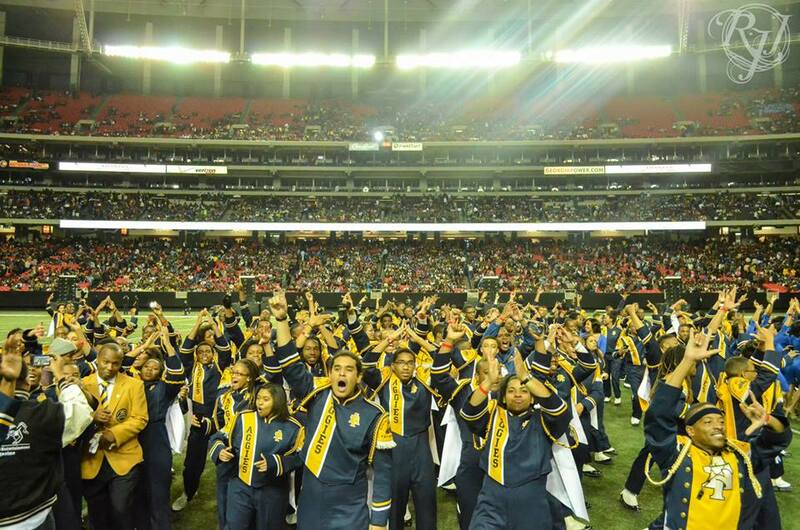 On the actual day of the performance mix emotions jitters and excitement ran through our veins as we prepared to take the field in front of tens of thousands of people. 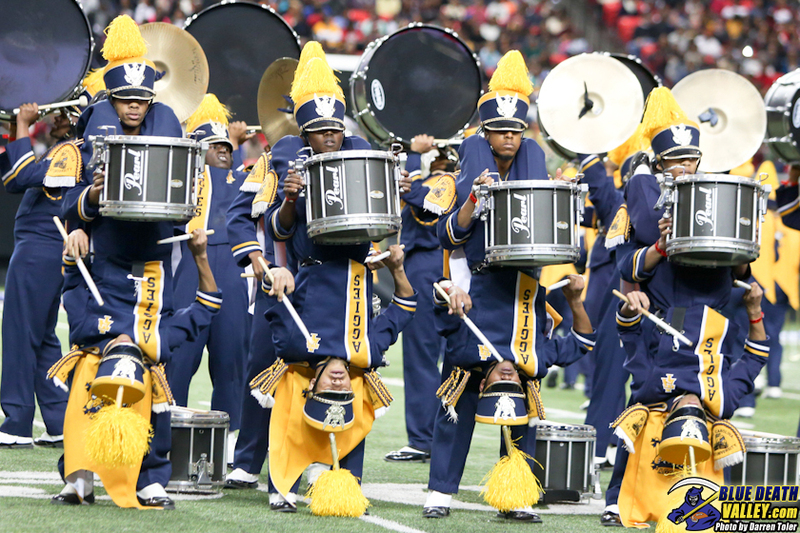 We were about to put on a show that was neither safe nor traditional to what HBCU bands did. And when the whistle was blown to take the field, the crowd’s cheers of approval did the rest. 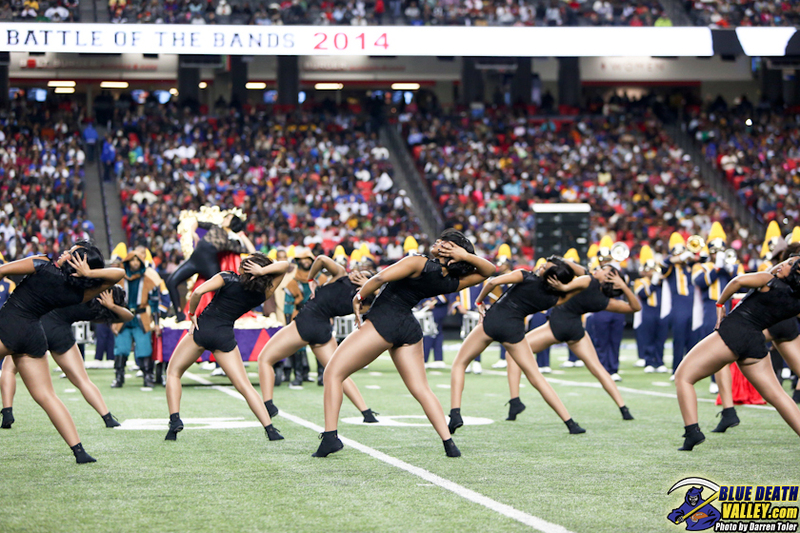 The crowd would go on to vote us as the first 2014 invitational showcase fan favorite at Honda. With this being my last performance before I graduated, I looked at the show a little differently. As a result when people would come up to me and say congratulations on the win, all I could do was smile and say thank you, because to us this was so much more than just a win. This performance was a game changer, a trend setter, a rule breaker. It was a daring performance that encompassed to its core what KKPsi is all about. Not settling for the average but striving for the highest, continuing to push the boundaries, being unequivocally committed to becoming the world standard of excellence. Being loyal and dependable. While we by no means put on a perfect or flawless performance, the effort was pure. And when we walked off the field to a standing ovation our director’s last words before we left came back into my mind. “Let there be no doubt.” As we looked up to the crowd cheering we all knew there was no doubt in our mind who was the best band, and apparently the crowd agreed. Your Fall 2012 Podium is HERE! Next story Your Spring 2014 Podium is HERE! Previous story Your Fall 2013 Podium is HERE!